Home » dentist-blog » Sore gums? 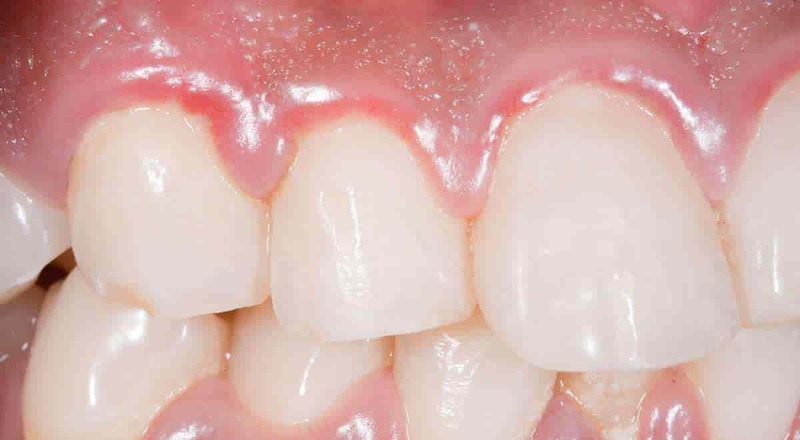 Recently I have been having red, sore gums around my two front teeth at the top and bottom. I try to brush them but it always bleeds and becomes very sore afterwards. Could this possibly have anything to do with having a rough toothbrush or are there more problems? Would I be able to treat this at home or would I have to go to the dentist? Would warm salt water be able to treat this? While I would recommend using a soft toothbrush, if you gums are bleeding regardless of the toothbrush that is a sign of gum disease which can lead to tooth loss. Depending on the severity of the problem will determine whether you will be able to treat it yourself. Brushing the area where the gums and the teeth join, and flossing the area twice a day may remove the bacteria that is causing the problem. If the bleeding persists after seven days I recommend seeing your dentist. You should see a dentist for regular maintenance and cleaning every six months as this will help prevent gum disease. I hope this helps. By Dr Luke Cronin| 2016-03-16T16:51:07+00:00	March 16th, 2016|Dental Advice, Dental FAQ, Gum Health|Comments Off on Sore gums?